Renaissance Botanical has some awesome Halloween Seed Bombs available right now. These spooky seed bombs are really fun and unique, which makes them a perfect Halloween party favor, child’s trick-or-treat hand out or just something nice to surprise your child or a friend. 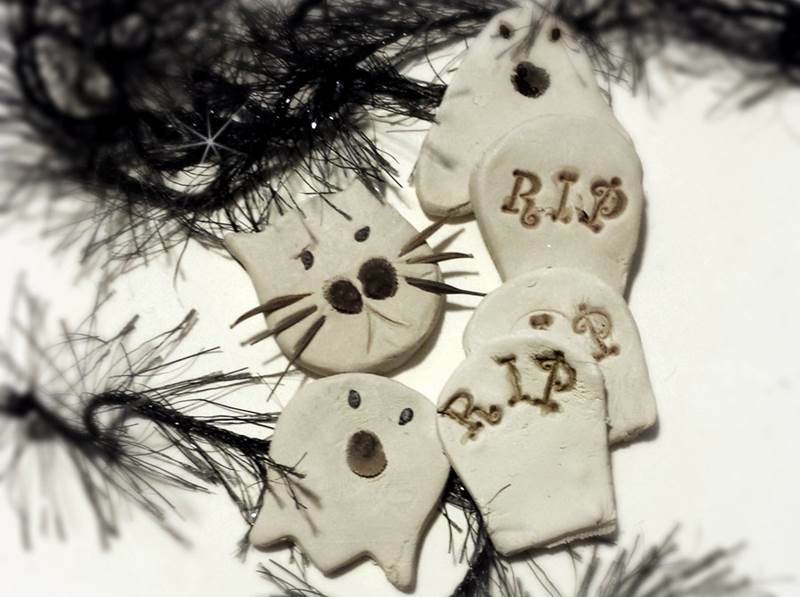 Each Halloween pack is a ghoulish set of graveyard tombstones, cat faces and ghost seed bombs. The bombs contain natural herb seeds of cilantro and parsley, which are great for planting indoors during the fall and winter months. To get the seed bombs going, all your child needs to do is dip the bomb into warm water, then place the bomb 1/4 inch down in a little pot of moistened soil — easy as pie. The bombs come attractively packaged with shredded paper and may contain bits of sparkle and botanical and a cute mini card top, with bomb planting instructions included. Renaissance Botanical has some awesome Halloween Seed Bombs available right now. These spooky seed bombs are really fun and unique, which makes them a perfect Halloween party favor, child's trick-or-treat hand out or just something nice to surprise your child or a friend. Each Halloween pack is a�ghoulish set of graveyard tombstones, cat faces and ghost seed bombs. The bombs contain natural herb seeds of cilantro and parsley, which are great for planting indoors during the fall and winter months. To get the seed bombs going, all your child needs to do is dip the bomb into warm water, then�place the bomb 1/4 inch down in a little pot of moistened soil -- easy as pie. The bombs come attractively packaged with shredded paper and may contain bits of sparkle and botanical and a cute mini card top, with bomb planting instructions included.